HiddenGemsReport.com called on OCRON to help with the launch their new business. OCRON was in charge of most of web initiate that included, finding the right Domain name, logo generation, website development, website design, hosting and social media page set-up. 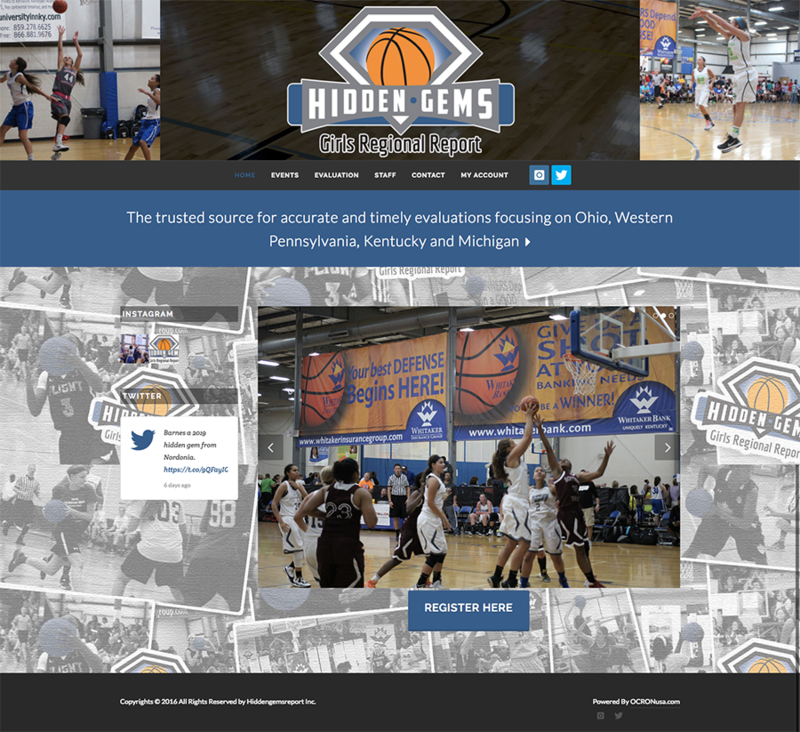 HiddenGemsReport.com required a custom CMS that would allow their employees to easily login and enter their player evaluations. HiddenGemsReport.com evaluates High School Girls Basketball players. College coaches purchase memberships to view and track prospective talent.